Keto Answers Podcast: Low Carb Lifestyle | Ketogenic Diet Nutrition | Holistic Health | Listen Free on Castbox. 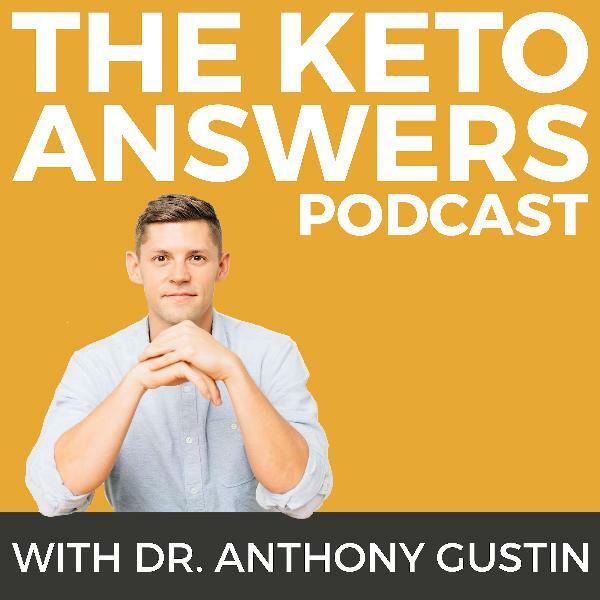 The ONLY keto podcast hosted by a doctor, Keto Answers with Dr Anthony Gustin (founder and CEO of PerfectKeto.com) features interviews with health and nutrition influencers, world-class thought leaders, and industry experts. With exclusive content that breaks down complex ideas to make them simple and digestible. We cover topics like weight loss, intermittent fasting, low carb and ketogenic diets, nutrition, healing chronic conditions and hormones. He was one of the first guys to dive head-first into paleo. He’s even dabbled on carnivore for six weeks. Now he prefers a paleo-keto approach. If you haven’t guessed it yet, this podcast episode features two-time New York Times and Wall Street Journal best-selling author of Paleo Solutions and Wired to Eat, Robb Wolf. Robb sits down with Dr. Anthony Gustin to chat about everything from mTOR activation, fasting, autophagy, electrolyte imbalances, and more. Robb even dives in deep to uncover the mechanisms at work with fasting and being on a low-carb diet and where he thinks things will evolve in the future. So if you’re someone who loves to geek out, this episode is perfect for you. And if you’re just interested in learning more about how to improve your health and quality of life, you’ll find something interesting in this episode too. Robb -- who has close to 300k social media followers -- also shares his best advice for choosing the right tool to reach your health goals. Check out this jam-packed episode now to learn more! While most people understand the benefits of fasting, few know the true power of reaching autophagy. But what exactly is autophagy and the benefits associated with it? We’ll briefly tackle the basics like these before moving on to more complex topics such as long-term fasting, muscle mass, mTOR, and protein synthesis. Don’t let the complexity of the topics deter you though -- Siim shares his knowledge in an easy to digest format that both beginners and seasoned pros alike can understand. In addition to that, you’ll also hear more about Siim’s tips for breaking a fast, prolonging a fast, carb refeeding, and whether or not you should workout while fasting. As a best-selling author with close to 100k social media followers, Siim Land is a wealth of knowledge on the topic of autophagy and fasting and he shares everything he knows in this episode. Whether you’re just dipping your toes in the water here or you’ve been fasting for years now, this episode has something for you. Tune in now to learn more! Have you ever wondered if there was a way to improve your health in less time? While we’re not referring to quick weight loss strategies and detoxes that don’t work, we are saying that it’s possible to biohack your health, as you’ll learn in this podcast episode with Ben Greenfield, one of the world’s top influential people in the health and fitness world. Ben shares some of his best biohacking strategies, his morning rituals, and what moved the needle the most in terms of performance and health in this episode. You’ll also hear more about the specific type of water he swears by for better health, his race performance hacks for both before and during a race, and what he sees as the future in this space. If you’re not familiar with Ben Greenfield, he’s an obstacle course racer, best-selling author, biohacker, coach, relentless self-experimenter, father to twin boys and has over 400k social media followers. So he understands what it’s like to maintain a busy lifestyle while achieving incredible health feats. Find out his insanely simple secrets by tuning into this podcast episode now! You may not have expected Dr. Anthony Gustin of Perfect Keto to sit down with Dr. Josh Axe since their companies are similar, but the reality is they share a similar background as well as some of the same health and nutritional philosophies. You’ll hear more about this and Dr. Axe’s background as a former chiropractor and how he uses a nutritional approach based on Chinese Medicine. Dr. Axe also shares how he helped his mom use keto during her cancer diagnosis, his thoughts on using keto both short-term and long-term, and whether he follows a keto diet or not. If you’re not familiar with Dr. Josh Axe, he’s a certified doctor of natural medicine and clinical nutritionist who has amassed close to 5.3 million followers on his social media channels. We also dive into a number of topics surrounding probiotics, collagen, CBD, and the best herbs and spices for better health. This episode is jam-packed with a ton of information -- it’s one you don’t want to miss. Tune in now to learn more! Is it really possible to detoxify the body? Or are those juice cleanses and detox kits just a marketing scam? As the title suggests, these quick-fixes don’t even scratch the surface when it comes to detoxification. But that doesn’t mean you can’t rid your body of toxins, including heavy metals. Rather, it’s just the opposite as you’ll learn in this podcast episode with Dr. Daniel Pompa, a former chiropractor who now practices cellular healing and teaches hundreds of doctors and professionals how to guide their patients through cellular detoxes. Find out what it takes to really detoxify your body, why you would want to do this in the first place, and how fasting and a low-carb diet are great tools to use here. You’ll also discover the one key ingredient missing in people who eat a healthy diet, why Dr. Pompa believes in diet variation, and how autophagy works. This is one eye-opening episode you don’t want to miss, especially if you’re dealing with unexplained chronic fatigue, headaches, anxiety, sleeplessness, or other unwanted symptoms. Tune into the episode now to learn more! She’s coached hundreds of clients throughout the years and believes in a dogma-free nutrition approach. 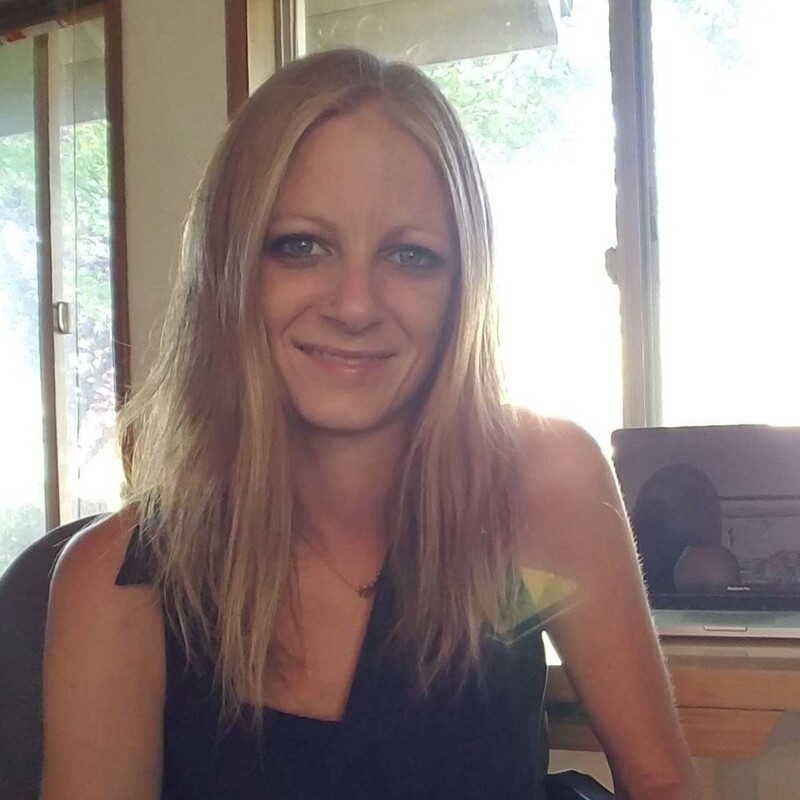 Yet, after some persistent nudging, she decided to give keto a try for 90-days. Despite eating more calories, Adee Zukier Cazayoux, CEO and founder of a nutritional coaching program called Working Against Gravity, lost body fat and felt better than ever. Even with these positive results though, she doesn’t push keto on her clients. So what does she promote? Find out in this podcast episode as Adee shares her top nutrition tips from all of these years helping people make weight for competitions and lose body fat. These aren’t your typical diet and nutrition tips either. Rather, they’re focused on finding the right fit for you and how this may change over time. And if you’ve ever wanted a sneak peek into a nutritional coaching program to see if hiring a coach could help you reach your goals, this episode gives you exactly that. We’ll show you what a coach does and what they focus on specifically. Tune into the episode to learn more now! If you’re following a ketogenic diet, you already know that carbs and sugar are bad for you. But you may not have realized that vegetable oils are just as detrimental to your health and should be eliminated right away too. And if you’re unknowingly consuming these, it could be why you’re struggling to reach your goals on keto. Fortunately, this podcast episode with board certified family medicine physician and author of Deep Nutrition, Dr. Cate Shanahan, can help. In it, we’ll share why vegetable oils are so bad for you, the exact ones to eliminate, and why we’ve had this wrong for so long. Dr. Shanahan also dives into a study that’s been overly and incorrectly used showing how a ketogenic diet causes weight gain and fatty liver. On top of that, we also discuss keto on athletic performance and Dr. Shanahan gives her best tips for how many carbs athletes should consume on keto. This is one episode you don’t want to miss. Tune in now to see what we mean. Are you a woman in perimenopause or menopause and have tried a low-carb ketogenic diet only to find that it made you irritable and gave you a case of the “keto crazies?” If this has happened to you, it doesn’t mean that keto is the wrong tool to use here. Rather, you may just be missing one huge component: alkalinity. Contrary to popular belief, becoming more alkaline doesn’t involve eliminating all acidic foods for alkaline-only ones. Instead, it means finding the right balance while striving to reach and maintain ketosis. Fortunately, thanks to this podcast episode with triple board certified physician Dr. Anna Cabeca that won’t be so hard to do since she’s sharing her top principles for becoming more alkaline on a ketogenic diet. This style of eating helped Dr. Cabeca reverse perimenopause so she could successfully have a child at age 41, and she continues to use these principles with success in thousands of women at her practice. Tune into the episode now to learn how to balance your hormones naturally so you can finally reap the positive benefits that come with a ketogenic diet. To improve as an MMA fighter, Kyle Kingsbury turned to meditation and self-reflection, which helped to calm his mind and keep it quiet during fights. But he quickly realized that these tools were also helping him become a better person. Fast forward 10 years later and Kyle has moved on from being a professional athlete and works as the Director of Human Optimization at a popular supplement company. In this podcast episode, we chat about how Kyle still uses those tools to figure out what his next move in life is, why he experiments with nutrition -- including trying the carnivore diet for 17 days and taking part in an elimination challenge, his seasonal approach to carbs, and why he challenges things instead of just accepting them at face value. Kyle also dives into the life lessons that fighting taught him and why he doesn’t follow some of the traditional dieting advice. Check out the episode now to learn more! Is it possible to build muscle on keto? Or do you need carbs to do this? And if it’s not carbs, then what is it? Should you just increase your fat intake? Or protein? Or both? Instead of being overwhelmed by what to do, tune into this podcast episode with the self-proclaimed Keto King, Brandon Carter, who has made it his mission to help people pack on muscle while following a low-carb high fat-diet, to find out the exact strategy you need to do this. We’ll show you how to adjust your macros and maintain a lean physique without having to add carbs into the mix. Brandon also shares his experience with cyclical keto and protein-sparing modified fasts. Check out the podcast episode now to learn more about building muscle on keto. Just wondering where to find the peer reviewed studies, RCTs conducted etc behind all of this? I love this podcast and Dr. Gustin, but the past few weeks have been such bro episodes. 🙄 I always listen from beginning to end, but I really zoned out on these. I can't wait to get back to keto/nutrition conversation. I appreciate the info and the speakers are great but you seem to be speaking with a mouthful of marbles. Its hard to make out what you said esp the meducal terms. love this podcast. very straight forward and not sugar coated. very refreshing and informative. loved this episode. So much great information for us newish to living keto way of life Thank you. Its nice to know at least 1 more company is attempting to watch out for our health and giving us a healthy choice! Great episode! Made me a follower of Chris. I appreciate the intelligence and clear articulate communication between these two experts. Super practical too. I really enjoy listening. You have great information. However... at the end of your podcast you ask listeners if they enjoy it too consider donating so you can get better guest and content. I feel like that implies that you don't feel the guests you've had have been great. Personally I feel you should reword that part of your podcast. why aren't you more upfront about being a chiropractor? Functional medicine practice is another deception. You do present some good information, but could be a little more honest about your background and credentials so the decerning listener can know. Is keto good for a person with fatty liver? I don't know if you'll have the chance to read this but I have a question: why did you stop this carnivore diet if you felt so much better? great interview! and fyi, your audio level was really low. Nora sounded great but you were hard to hear.